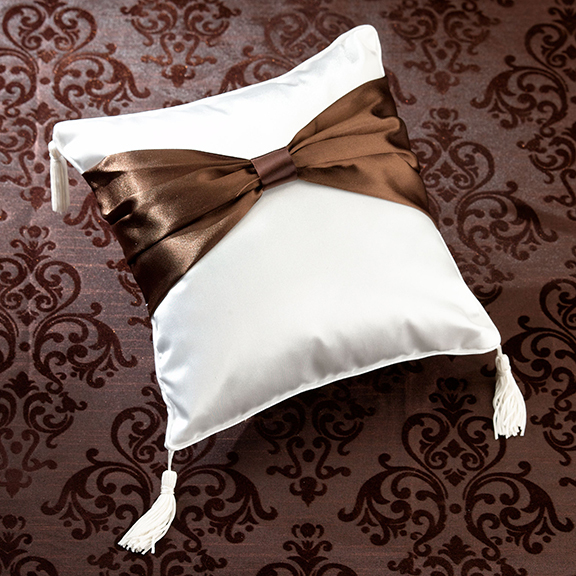 This cream satin ring pillow is decorated on the front side with a brown satin sash knotted in the center. Cream tassels accent the four corners of the pillow. Size: 7" x 7".